Here is an interesting article on “how to make flowers from arecanut”. This is one of the DIY craft ideas to boost up your creative abilities. If you have ample time and patience, you can easily make beautiful flowers from anything around us. Here I am using arecanut (hope you are familiar with it). 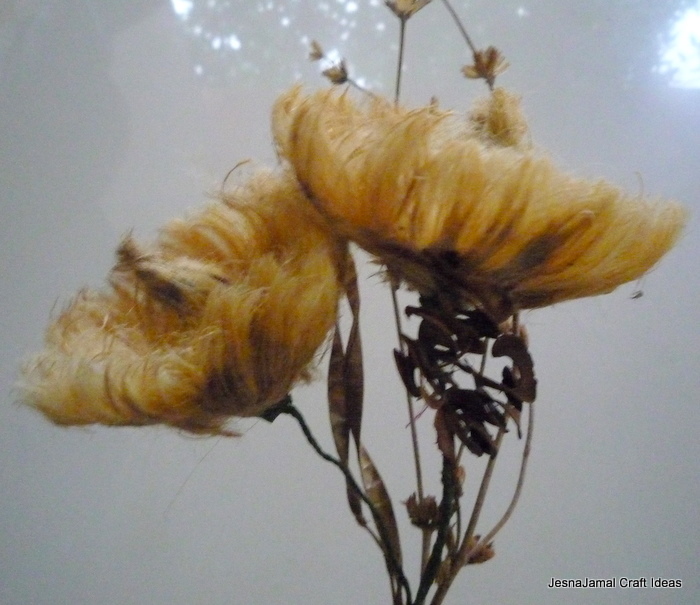 Dry flowers are pretty easy to make, look stunning and last for many years. They also need less care and maintenance. Compared to the synthetic and artificial flowers that are readily available in the market, these flowers are eco-friendly and natural. 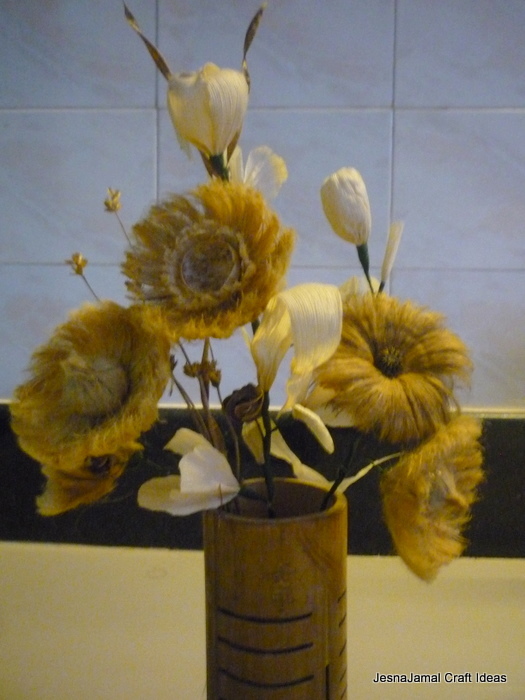 These dry natural flowers are perfect for any modest living room and ideal for daily decoration. But when unique occasions call for contemporary decorations, the same can be accomplished with natural dry flowers in an exciting fashion. If you are ready to blend your ideas with ample time, you can create exceptional craft works. 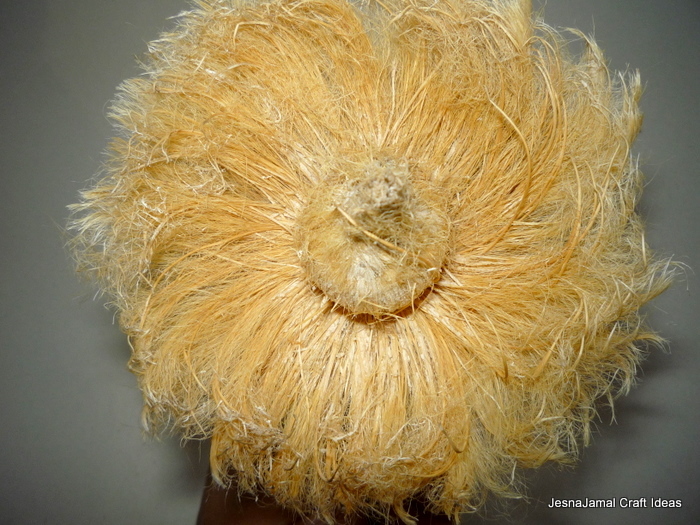 Have you ever thought of making flowers from dry arecanut? Here is a simple step-by-step guide to make nature-friendly flowers from arecanut. With a very few basic supplies, you can create elegant flowers. The resulting product is amazingly lovely, and may even look like a real flower! 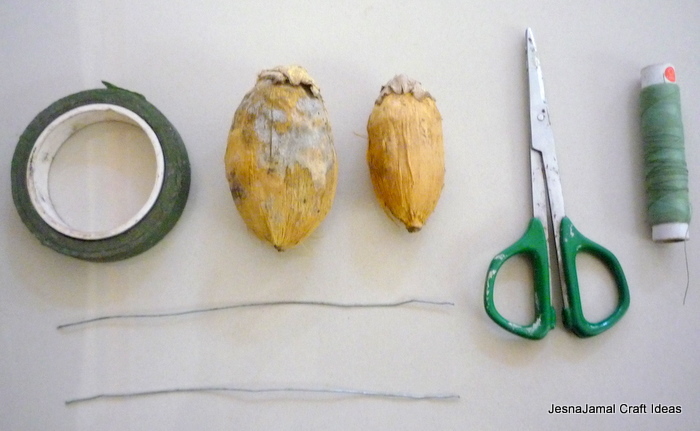 First take a dry arecanut and try to open it up carefully from the top. Keep in mind that it is the neatness of your work that results in a stunning flower. 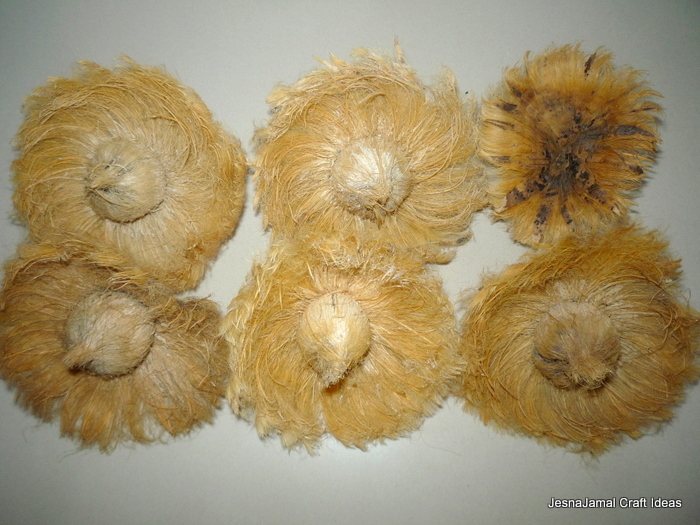 Move apart the dry fibers with care so that you get a flower like shape. Take the scissors and cut out the extra fibers in a floral fashion to achieve the right shape. Refer to the image shown below. After you complete with a single arecanut flower, try to make more flowers so that you can go for a floral arrangement. Here I have shown a couple of flowers. 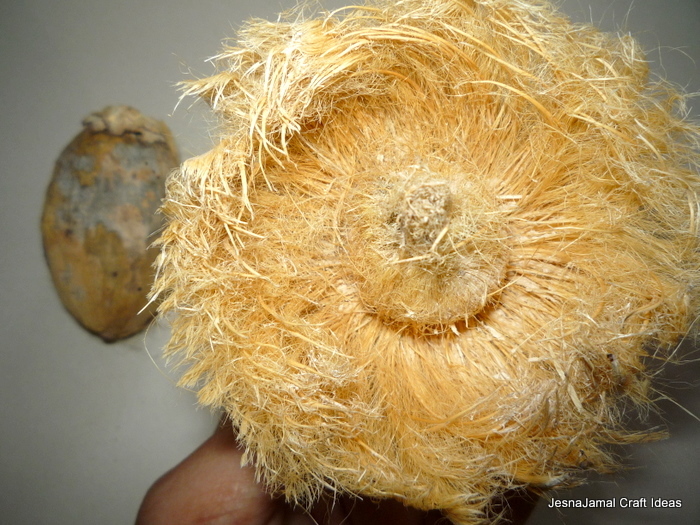 Note that the nut of the arecanut still remain inside the flower. It is often lovely to compliment the flowers with dry leaves or twigs to make it look more real. Now you have just finished up with the flowers. Next task is to stick it on to a twig and add leaves. 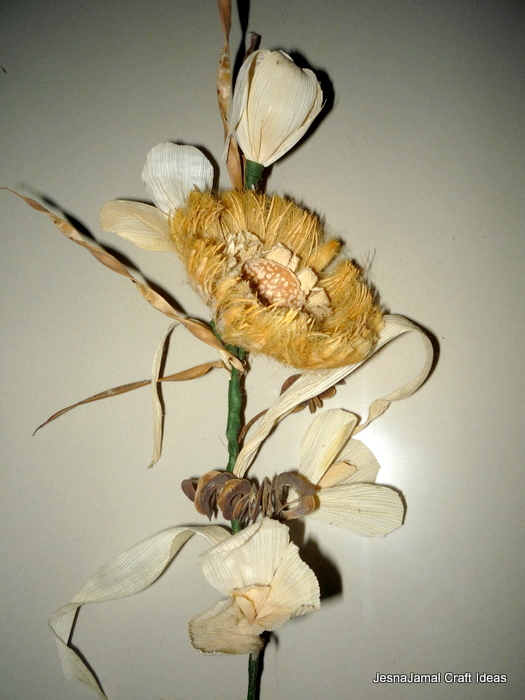 Since this one looks more like a dry flower, it is a better idea to use some dry twigs and leaves with it. If you are curious about the white flowers that I have used here, it is nothing but dried corn leaves. Using corn leaves, you can make elegant flowers like the ones you see in the below image. Arecanut flowers and corn flowers make up a great combination of floral arrangement. These simple steps can help you create amazing floral pieces in no time. From twigs, fruits, flowers, cloth, artifacts and many other raw materials, you can make eco-friendly craft works. Just look around your premises and explore the possibilities creatively to make the most out of raw materials. Once you are done with the arrangement, find a perfect place to display your talent! These are unique and fabulous..